Are you sick of your gold just sitting there when it was supposed to have long since made you rich? Have you been fantasizing about a world in which your gold really does make you rich? If so you’re in good – or at least numerous – company. So let’s sketch out such a world. Start by envisioning an America in which a handful of oligopolies have captured banking, media, healthcare and several other important industries, while a tiny group of super-rich neo-aristocrats control as much wealth as the 200 million least-rich citizens. Toss in a US president who goes out of his way to pick fights which he then proceeds to lose, leading to both falling poll numbers and derisive headlines around the world. Meanwhile, imagine that that same opposition party recently gained control of the branch of Congress that can investigate the President, leading to an escalating battle between legislature and executive that adds an element of legal chaos to what would already have been a presidential campaign of off-the-charts vitriol. Now that’s a crazy country where gold should be in demand. But it’s just one place. There’s a whole big world out there where gold and silver can trade. For precious metals to truly go to the moon everyone, not just traumatized Americans, has to desperately crave sound money. So let’s imagine France roiled by violent street protesters with numerous but nebulous aims, forcing a rattled government to ramp up deficit spending on pretty much everything that anyone seems to want. And let’s have misguided but at least emotionally stable German Chancellor Angela Merkel be pushed out of office in favor of no one knows what. To sum up our hypothetical Europe, all its current problems require extremely easy money from both governments and the central bank for as far as the eye can see. Negative interest rates and an inflation target of 5% or more will soon be proposed by formerly-rational cabinet ministers and headline writers, and agreed-to by voters. The required level of global chaos is getting close. We just need a dash of…China. Let’s pretend that it has quintupled its debt since 2008, in the course of which it recapitulated three generations of Western financial bubbles in one cycle, apparently without a sense of how those previous bubbles ended. And now it’s running out of new bubbles to inflate even as its growth slows to dangerously low levels. 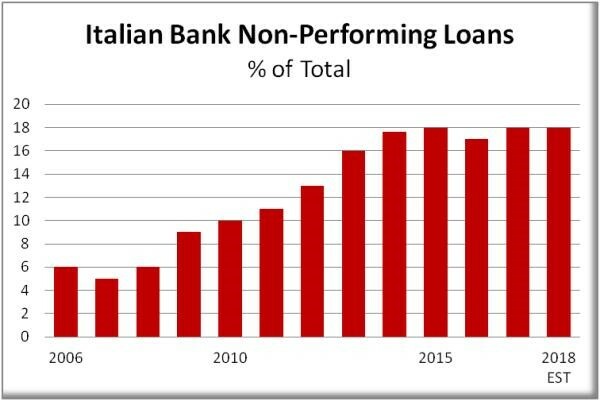 • A Europe spinning apart as the unworkability of a single monetary system housing both Germany and Italy is finally revealed. 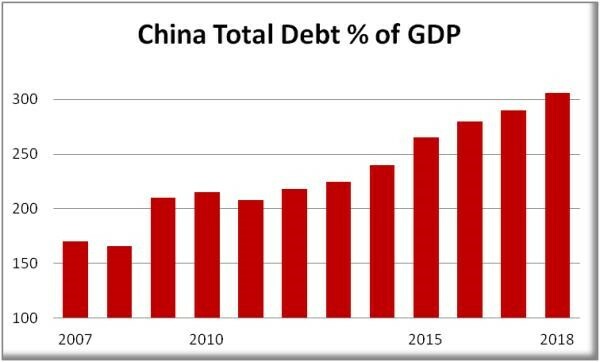 • A China with multiple bubbles popping at the same time and no historical or theoretical framework for understanding what, why, or how. Just in case you missed the rhetorical device, none of the above is actually hypothetical. It’s all real, and heading this way fast. Where will everyone hide in the dysfunctional world of 2019? In the old kinds of money that the Fed, ECB, and Peoples Bank of China can’t manufacture out of thin air when their debts finally come due. Of course. In that word the demand for real money will rise to levels that are hard to imagine (since the human mind apparently can’t visualize the concept of “trillions”). It won’t be a fun world, or a safe world. But at least your gold will soften the blow. We should remember the time when BOE decided that gold price should be $273/oz and no one could convince the market otherwise. Only after the manipulation ran out of its steam could gold price recover. The present time may be another such manipulated period. Could be, but I expect that the UK & the US don’t have a lot of Gold left to sell to suppress the market.